5.8GHz for clear interference free transmission. Directional Antenna supplied in kit. 1 BNC Video input + 2 Audio inputs. 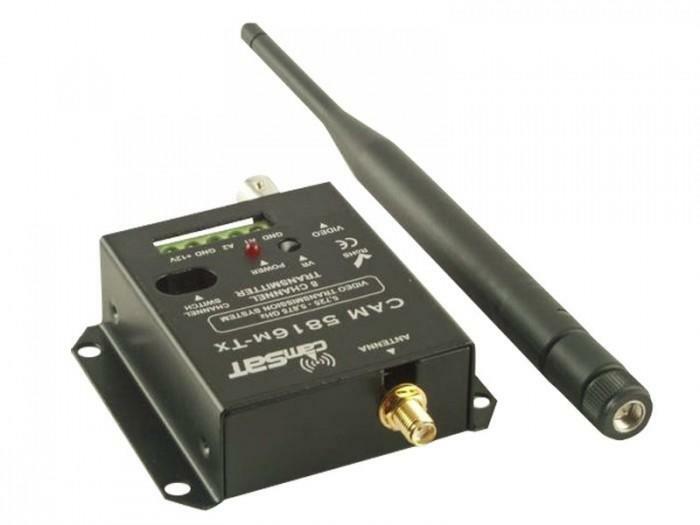 Internal 5.8GHz Video and Audio Transmitter with directional antenna, 1 km + Range, 1 BNC Video input and 2 Audio inputs, 4 operating channels selectable. DC12V power supply included.